English Premiership clubs will try to address growing concerns over concussion in rugby union by deploying a Hawk-Eye system with added cameras and specialist spotters in the stands during the forthcoming season. The measures, financed by the 12 Premiership clubs themselves, aim to highlight head injuries that may be missed by coaching staffs or standard television match cameras. 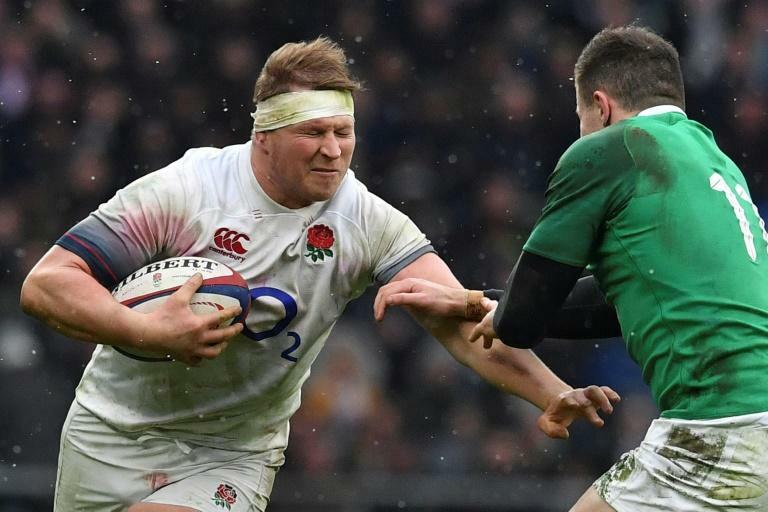 The problem has been highlighted by the lengthy spells out of action due to concussion suffered by the likes of Ireland star fly-half Johnny Sexton, mostly recently in a European Champions Cup game, and Dylan Hartley, in a Six Nations loss to Ireland in March. The England captain makes his return in a pre-season friendly for Northampton on Friday. A Hawk-Eye system with eight cameras and a pitch-side video reviewer will be able to observe all parts of the pitch and not just where the action is taking place. Rugby officials hope Hawk-Eye's Synchronised Multi-Angle Replay Technology (SMART) will make the game safer. It records all broadcast angles and makes the footage available immediately to medical staff, who can use it to assess head injuries. The Pitchside Video Reviewer (PVR) will also be deployed for the Premiership clubs' home European matches. "It is an important step," said Premiership Rugby chief executive Mark McCafferty at the official launch of the 2018/19 season at Twickenham on Thursday. "The players' welfare is critical to the whole future of the sport. "We had another system previously but this is a big step forward and it has taken big investment to make it all happen." Corin Palmer, Premiership Rugby's head of elite performance and player development, said the system would speed up the process of "recognise and remove" designed to ensure a player who may have been concussed is not exposed to a risk of further injury in the same match. "Should they spot something they can bookmark it in seconds and transfer it down to the pitchside medical team for them to review and take action, which could be a permanent removal or the need to carry out a head injury assessment," said Palmer. "We have a clear focus in the areas of concussion identification, diagnosis, management and prevention. "The Hawk-Eye system combined with the PVR operators puts the principles of 'recognise and remove' into action." McCafferty added the new system would not stop the Premiership looking for further ways to minimise the impact of concussion. "We think we are pretty advanced in taking care of players," said the 59-year-old, who has been in post since 2005. "We have made big steps forward over the past few years but we can't stop where we are, we have to make it as safe as possible." The introduction of the PVR was welcomed by Pat Lam, the rugby director of newly-promoted Bristol. "This is huge," said Samoa great Lam, whose Bristol side begin their Premiership campaign against southwest rivals Bath a week Friday. "The game has got faster, bigger and stronger since we played. Anything that protects the players is great."